We have an immediate planetary emergency involving multiple threats: climate disruption, a global water crisis, food insecurity for nearly one billion people, vanishing species, and vast migrations of people in search of basic conditions for survival. The UN has warned that we have only sixty more years of productive farming left if current levels of soil degradation continue. At the same time, the Intergovernmental Panel on Climate Change and the National Academies of Sciences have called for a major focus on soils and large-scale carbon dioxide removal through our lands. Protecting and restoring global soils can help alleviate all of these threats and limit global warming by sequestering carbon emissions. When we build carbon in agricultural soils through regenerative practices, we achieve extraordinary benefits. This webinar will explore the significant potential of agriculture and land restoration in addressing climate disruption. 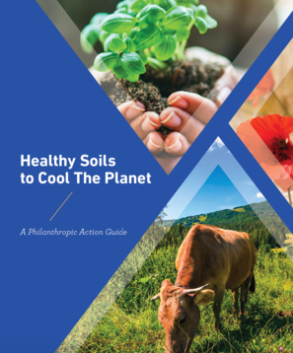 It will feature topline findings from a recent report on philanthropic opportunities to promote healthy soils and soil carbon sequestration. NOTE: This is the first of several upcoming opportunities to learn about regenerative agriculture and its connections to climate change adaptation and mitigation. There will be multiple workshops on this topic at the 2019 SAFSF Forum (June 18-20 in Pittsburgh, PA), including a concurrent workshop (Philanthropy at the Nexus of Agriculture, Soil, Climate, Health & Water) and a two-hour funder-only in-depth session related to regenerative agriculture and opportunities to support the soil health movement (Soil Health, Climate Change Mitigation, and Regenerative Agriculture). Stay tuned for additional related webinars as well! 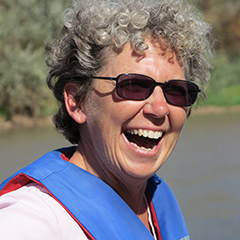 Whendee is the Rudy Grah Chair and Professor of Ecosystem Ecology and Biogeochemistry in the Department of Environmental Science, Policy, and Management at UC Berkeley. Her work seeks to determine the biogeochemical effects of climate change and human impacts on the environment, and the potential for mitigating these effects. The Silver Lab is currently working on climate change mitigation potential of working lands, drought and hurricane impacts on tropical forests, and greenhouse gas dynamics of peatlands and wetlands. Professor Silver is the lead scientist of the Marin Carbon Project, which is determining the potential for land-based climate change mitigation, particularly by composting high-emission organic waste for soil amendments to sequester atmospheric carbon dioxide. The Silver Lab was awarded the Innovation Prize by the American Carbon Registry. Professor Silver is a fellow of the Ecological Society of America and was named a University of California Climate Champion for 2016 for outstanding teaching, research and public service in the areas of climate change solutions, action and broad engagement. She has published over 145 peer-review papers. She received her PhD in Ecosystem Ecology from Yale University. Betsy Taylor is president of Breakthrough Strategies & Solutions, a small consulting firm in Takoma Park, Maryland. The firm and her team provide three core services: 1) philanthropic consulting to a range of foundations and individual donors; 2) leadership network development through dynamic retreats and programming; and 3) strategic and advocacy campaigns. For the past four years, Betsy’s consulting has focused on building the field of regenerative agriculture as a pathway for addressing the climate threat, food security, and rural development. Betsy has over four decades of philanthropic and non-profit leadership experience, including as the Executive Director of the Ottinger Foundation, Merck Family Fund, Stern Family Fund, Nuclear Information & Resource Service, Center for a New American Dream, and 1Sky. She helped co-found the Environmental Grantmakers Association, Responsible Purchasing Network, Nuclear Weapons Freeze Campaign, the Sustainability Funders Network and the Iraq Peace Fund. She has served on numerous NGO and foundation boards including CERES, Greenpeace, 350.org, Management Assistance Group, and others. Betsy is currently focused on the potential of agriculture and land-based ecosystems to sequester atmospheric carbon through soil. She commissioned a white paper on carbon sequestration and agriculture in 2015 and organized a global conference on carbon sequestration and agriculture in 2017 with over 200 farmers, government officials and agricultural experts from 35 countries. Most recently she oversaw production of a guide for philanthropic action and investment, Healthy Soils to Cool the Planet. She has a BA in psychology and political science from Duke University and MPA from Harvard University. She is co-author of Sustainable Planet: Solutions for the 21st Century and author of What Kids Really Want that Money Can’t Buy. She owns and helps manage an organic hay farm and grew up in rural Maryland in a conservative farming community.